I always dreamed of becoming an astronomer- to see what no man has seen before. However my interest in learning and building complex systems encouraged me to become an Engineer and my love toward writing made technical writing a viable and exciting choice for my work. Which profession, other than technical communication, allows a person to use both his/her technical and writing skills at work? It seems that I did made a right choice by becoming a technical writer since Carrercast job survey suggests that it is better to become a technical writer (rank #37) than being an Astronomer (rank #43) . Careercast recently ranked 200 different jobs in the U.S based on five criteria: physical demands, work environment, income, stress and hiring outlook. The data for this report came from the Bureau of Labor Statistics and other government agencies in U.S.
Technical Writer was the 37th best job in 2012 though it slipped 9 rankings as it was the 26th best job in the same survey in 2011. Read the complete list of Careercast 200 tops jobs in 2012 here and the methodology of ranking here. Technical Writing received a score of 47.25 in the physical demands category (a little higher compared to the score of 40.00 for a Software Engineer). My guess is that technical writers fall in the first two categories: Sedentary and light work. I don’t know any technical writer having a requirement of lifting 100lbs and neither I see any technical writer having a body build-up of Arnold Schwarzenegger :). Though we walk and talk a lot for conducting work related interviews. 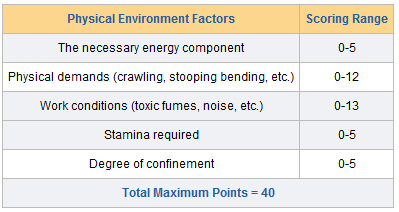 Work Environment is a mix of Physical and Emotional Environmental factors. Technical Writers got a score of 49.250. Believe it or not, technical writing is one of the least stressful jobs out there. 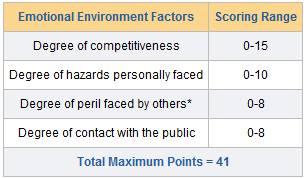 We scored only 18.73 (maximum is 91) in the category of job stress. The ranking system used to evaluate Hiring Outlook by Careercast awards higher scores to jobs with promising futures. Lower scores indicate a poorer outlook. 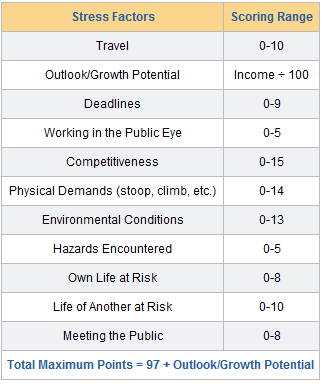 The three factors considered in this criteria were: Employment Growth, Income Growth Potential, and Unemployment. Your opinion on Technical Writing as a profession? I would love to hear about your opinion of technical writing as a profession. Do you love it, do you hate it or do you maintain a love-hate relationship with it? Leave a comment and let me know. Hi Gurpreet, Very nicely written article. You have got good analytical skills (Effect of Engineering!!). The reason for average pay under s/w engineers and overall rank 37 is that we are not in direct production of the company and not the Management representative either. But finally or skills are our weapon along with ability to quickly adapt to new things. Our role in the organization covers more of coordination and then writing what you have learned or what you want others to get trained. In the course, you have to coordinate with Management, tech. brains behind product or technology, trainer in case of software and sometimes customer. All in all it is a multi-faceted job and I’m sure that need for the Technical writers will keep growing and ultimately it will affect in the rise of pay as the demand grows. Thank you for reading my blog and for your kind comment, Ashish. I appreciate it. You make an interesting observation about technical writing being not a direct product of the company. However, this may not be valid for companies that deliver technical writing services as for them it is their primary offering. We’re a group of volunteers and starting a new plan in our community. Your webpage offered us with beneficial advice to work on. You have got done an impressive work and our whole community will probably be grateful to you. Thanks for your kind words, Paul. good post. I used work as a team manager for a KPO and now just started working as a tech writer and I completely agree with you in technical writing being one of the least stressful job out there. Three cheers for the low stress job of technical writing! Hi Gurpreet, I really enjoyed reading your blog. very nicely and well written. Good Job!